Rory Douglas rarely returns to his home town of Marietta, choosing instead to unleash his demons competing on the American Extreme Bull Riding Tour. 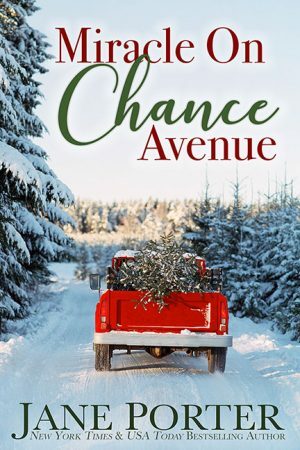 But after a particularly bruising season, Rory visits Marietta with the idea of buying an investment property and planning for a future he never imagined or wanted. After ten years as a flight attendant, Sadie Mann has turned in her wings to focus on her shabby chic business and becoming a single mom. Adjusting to her new life is proving harder than she expected and the last thing she needs is unrequited love, Rory Douglas, home for the holidays. Everyone knows he avoids Marietta, Christmas, and settling down, so why is he back now? Rory and Sadie have never had a chance, but maybe this Christmas will bring the miracle they’re looking for. It had been almost a month since Rory Douglas had last seen her, so long that he’d almost stopped looking for her every night. But now she was back in the stands, this time in Clovis, California, over halfway across the country from the last time he’d spotted her in Sante Fe, and before Sante Fe, it had been Nashville. She was even more beautiful tonight, her brilliant copper red hair in a loose side braid, the expression in her brown eyes somber as she watched Kane Wilder dash out of the ring after his electrifying ride. Rory’s pulse quickened when she turned her head and looked at him, finding him in his chute. Their gazes locked, and Rory didn’t look away, wanting her to know that he saw her, and remembered her. Each time, every time. The first time he’d spotted her in the stands had been two and a half years ago in Coeur d’Alene, Idaho. It wasn’t a big stadium, and she’d been so beautiful she seemed to glow with light and life. She’d seemed familiar, too, but he wasn’t sure why. Two and a half years later he still didn’t know anything about her, and yet his gut told him she was there for him, that her appearances at the various tour events these past few years had always been for him. Or maybe he just wanted her to be there for him. Maybe his ego needed to believe that beautiful, young things were still attracted to him, despite the fact that he was the oldest man on the American Extreme Bull Rider Tour, earning Rory the nickname Gramps from the other guys. Rory didn’t mind the nickname. At thirty-eight he was too old to still be competing, and twice the age of the youngest athletes. But competing kept him on the road, and busy, and too tired and sore to think of anything but getting through the next day. He liked the guys on tour, too. Over the years they’d become his family, a tough, practical, uncomplaining family, which suited him just fine because his real family was far more complicated, which was another way of saying painful, and at times, more bitter than sweet. Every night after Rory chalked his rope, taped up his hands, and stretched, he’d say a prayer as he settled onto the back of his bull. He didn’t ask God to keep him safe. He didn’t ask for anything for himself, but rather he prayed that the good Lord would keep His hand over his sister McKenna’s head. He prayed that his brother Quinn would one day find a good woman and have a family. And then he’d pray that both of them would know peace after he was gone. But tonight, just as he was about to climb into the chute, he’d felt that pull, that now familiar, taut, electric tension that told him she was there, the tension that made him lift his gaze and search the stands until he found her. His mystery woman, a woman he’d come to think of as his angel. Rory lowered his weight onto Hammerfall’s back and tightened the rope, wrapping it tightly around his hand as calm and resolve settled into his bones. He wouldn’t die tonight, not with her here in the stands. It wouldn’t be fair. It wasn’t the way he wanted to be remembered. Attention now fixed between the bull’s massive shoulders, Rory nodded his head, indicating he was good to go. And then the chute opened, and Hammerfall charged into the ring, bucking and twisting, and Rory settled back into the pocket, or what he hoped would be the pocket, but inexplicably Hammerfall gyrated the opposite direction, flinging Rory forward while the bull threw his head back. Rory knew a split second before the impact that it wasn’t going to be good, and he found himself praying just before all went black. Give me a chance, Lord. Sadie makes scones in Miracle on Chance Avenue and they are delicious right out of the oven, but also good the next day warmed a little and then served with clotted cream and some lemon curd or your favorite jam. Here’s the playlist I had on repeat while writing Rory and Sadie’s story.